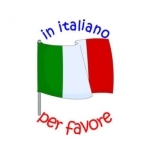 Italian (lingua italiana) is a Romance language spoken mainly in Europe: Italy, Switzerland, San Marino, Vatican City, as a second language in Malta, Slovenia and Croatia, by minorities in Albania, Eritrea, France, Libya, Monaco, Montenegro, Romania and Somalia. Italian is descended from Latin and it is the closest to Latin in terms of vocabulary. According to the Bologna statistics of the European Union, Italian is spoken as a native language by 59 million people in the EU (13% of the EU population), mainly in Italy, and as a second language by 14 million (3%). Including the Italian speakers in non-EU European countries (such as Switzerland and Albania) and on other continents, the total number of speakers is around 85 million. If you want to get a translation from Italian into Russian, ABC Globe will do its best to provide you with the most delicious and spicy one! Contact us to find out the details!